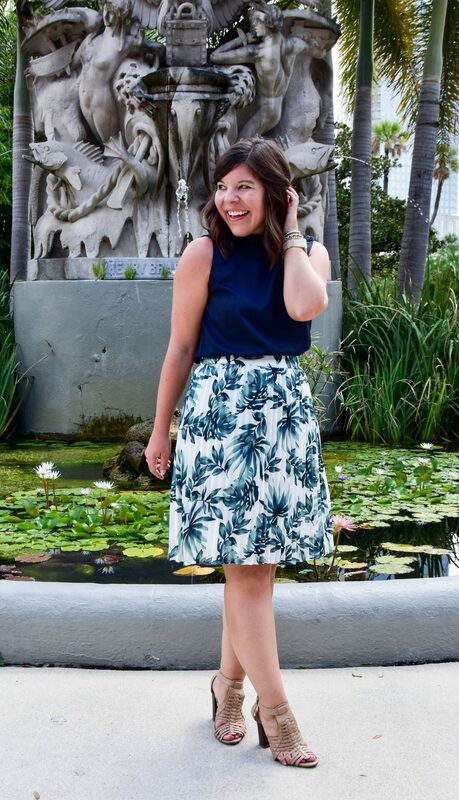 Waltzing into a new workweek in palm print – a simple way to make your work wardrobe more fun! Happy Monday friends! 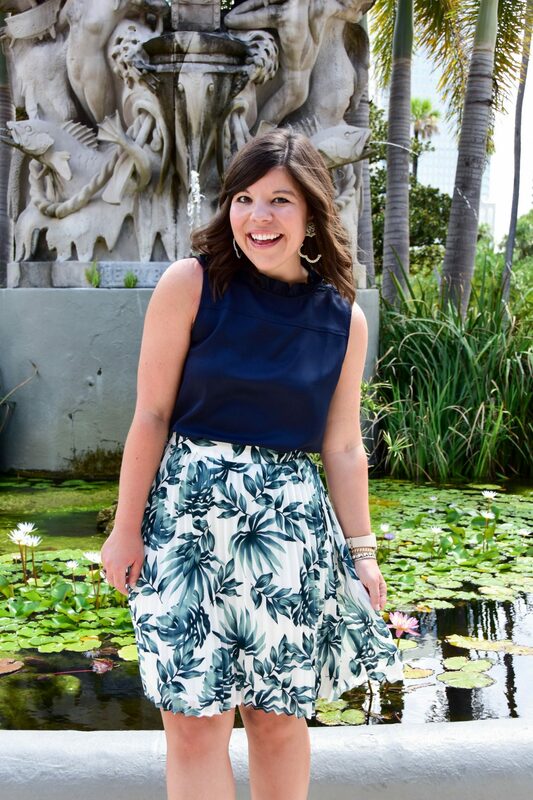 I figured there was no better way to kick off the week than with a new “workweek chic” outfit! Over the past 8 months there have been TONS of changes in my office (we were bought out by another company) and some days it was far too easy to take advantage of our “business casual” environment and err towards the casual side of workweek style. 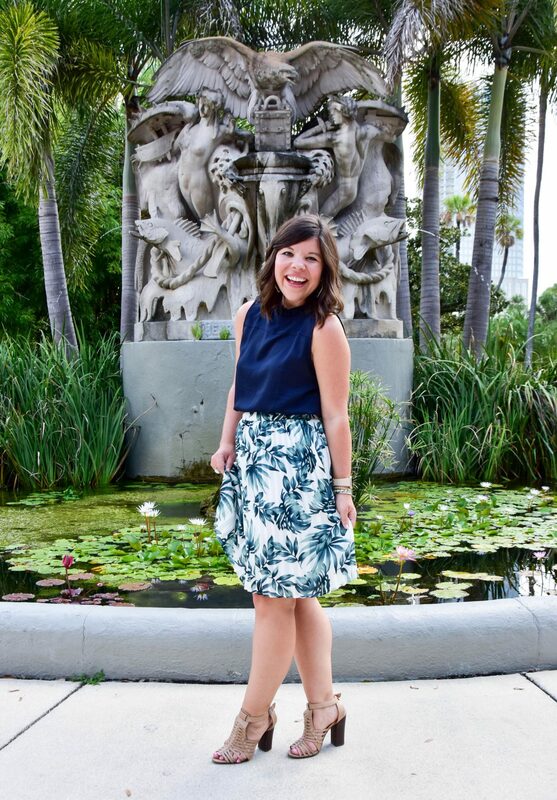 But I find that when I step up my style and put on my workweek “power suit” (in today’s case that’s a palm print skirt!) I have a total mind shift and I just feel more in control to take on any challenges that come my way. Am I the only one who’s productivity is 100% connected to my outfit choice of the day?! 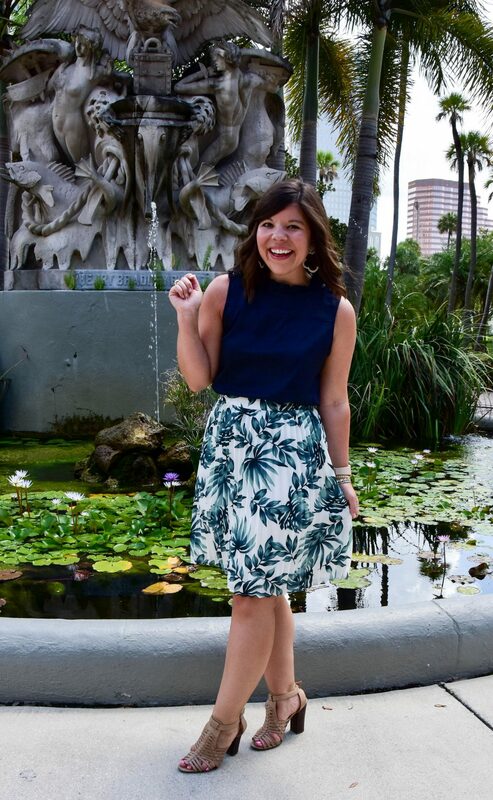 Now you know why I wanted to start the week in an outfit that makes me feel like a total #bossbabe! In other news, I went shopping at Trader Joe’s for the very FIRST TIME this weekend! I don’t know what kind of rock I’ve been living under that I hadn’t made it there before, but it was a whole new world! I think I basically bought out the store- oops! If you have favorite products or recipes from there I would love to hear about it – leave me a comment below! Your style is one of my favorites ! That skirt is gorgeous on you 🙂 Have a fabulous Monday ! 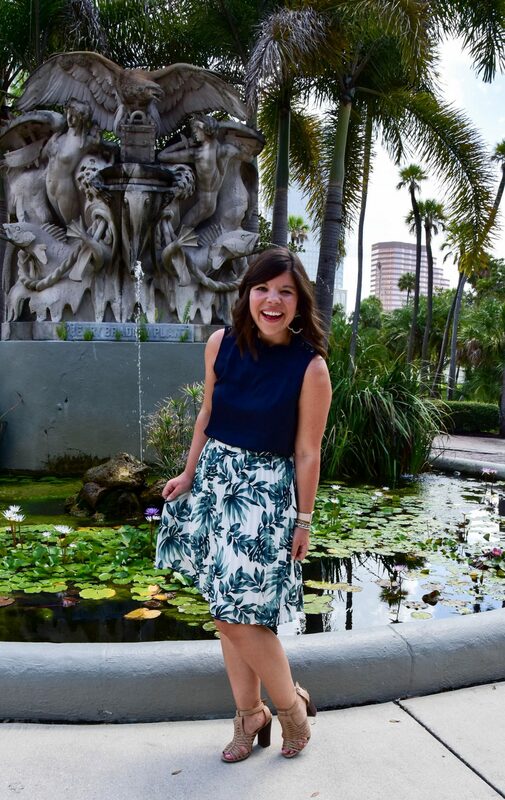 Always obsessed with your outfit posts, Gentry! 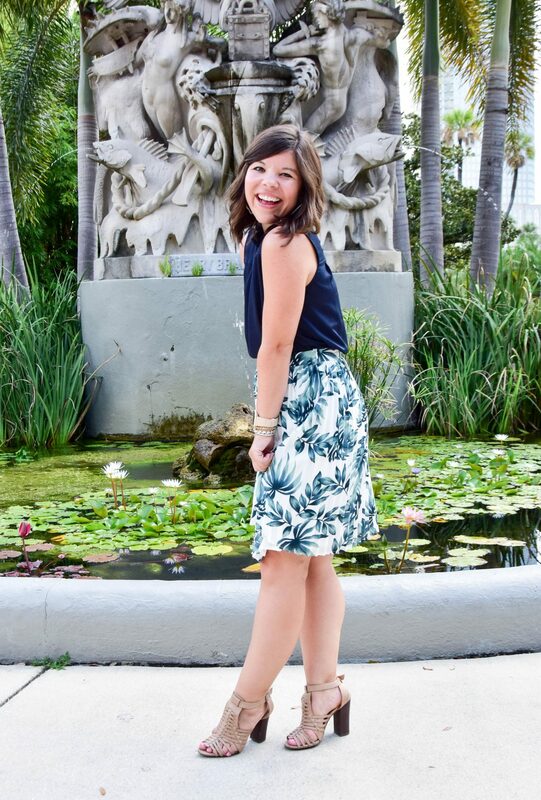 That skirt is so cute! P.S. I’m super jealous that it’s still warm enough for you to wear stuff like this – I’m in Canada and I’m in a hoodie and leggings and still cold! This is the cutest little outfit for work! 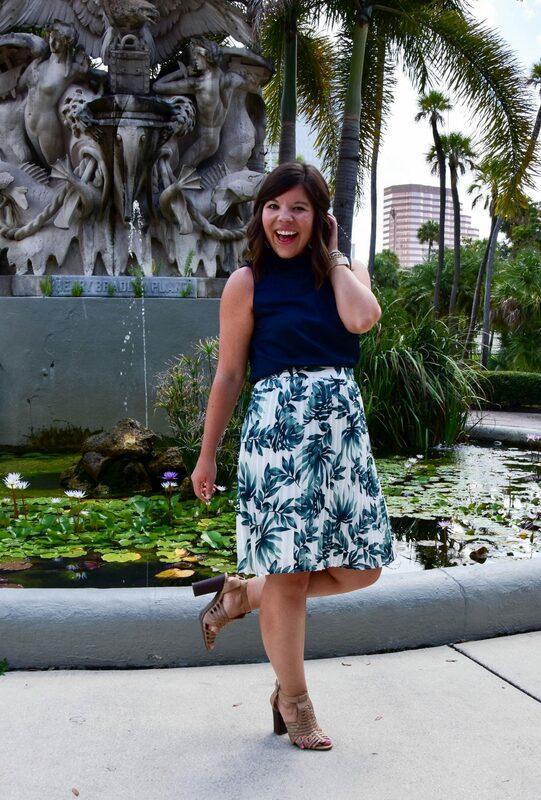 I love the palm print and I’ve been obsessed with midi skirts and dresses lately. I always feel more ready to attack the day when I’m dressed nicely (as I say that in sweats today haha!) – Love this look! 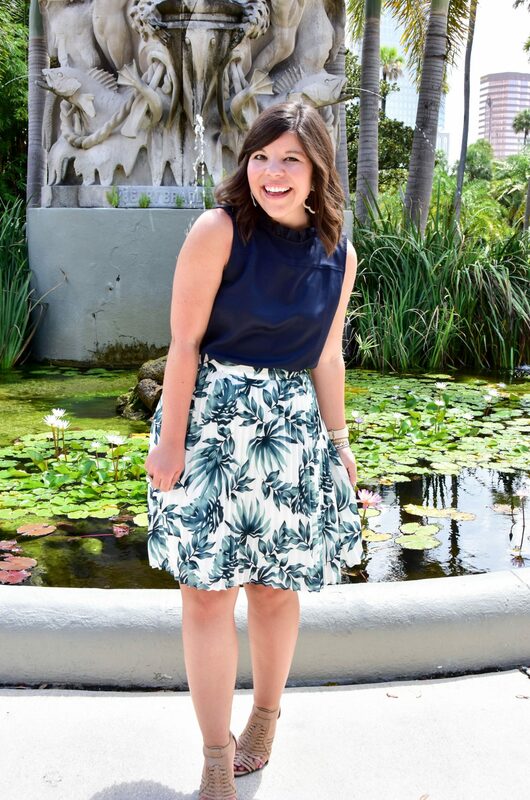 I love this print, and the length makes it so classy and appropriate for work! You look so cute.. and love the shoes. Your style is one of my favorite. 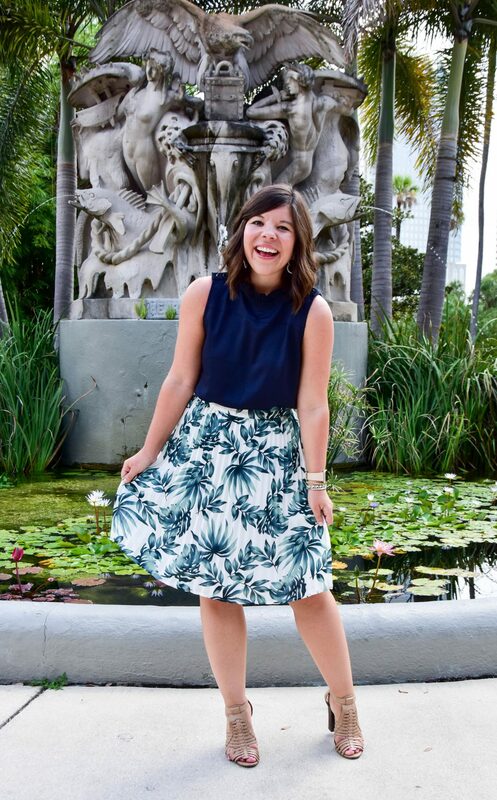 That skirt is perfection ! LOVE This look! Such a beautiful skirt, the color is gorgeous! Lovely top and skirt combo dear! You always have the cutest work outfits. Thank you! I try to get creative to keep my work style fun!